← Shutter Tours to be on TV Again! 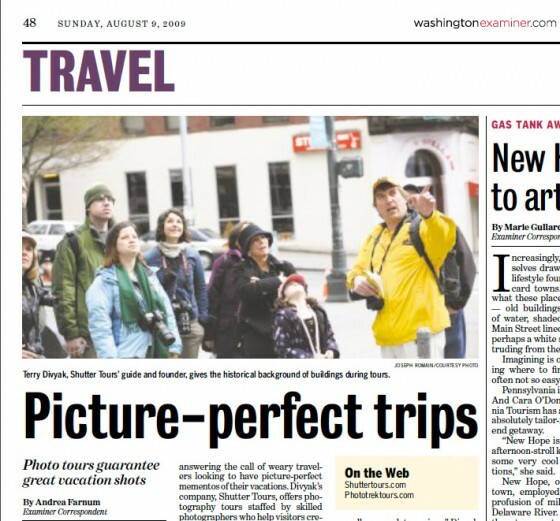 Andrea Farnum, a correspondent for the Washington Examiner, interviewed Shutter Tours owner Terry Divyak in this article that appeared in the August 9th Issue. This entry was posted in Announcements and tagged article, companies, company, photography, Seattle, tours, travel, washington, washington examiner. Bookmark the permalink.